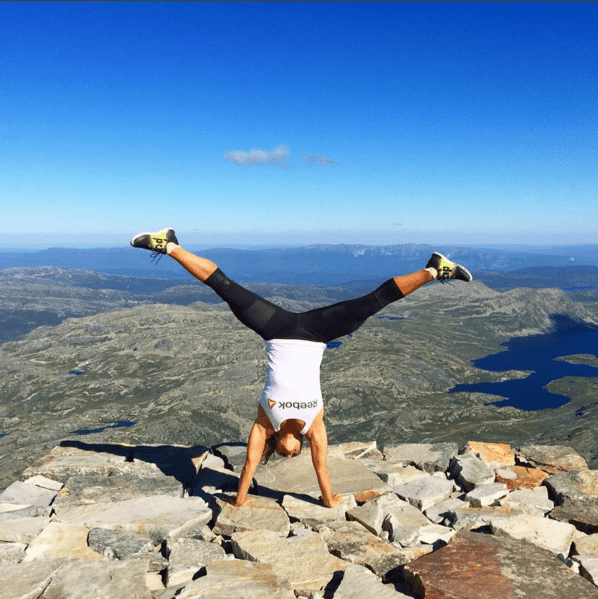 Norwegian 2x CrossFit Games Athlete Kristin Holte explains the mindset it takes to make it to the Games, get out of your comfort zone and what it feels like to complete a TRIPLE Murph workout! I am a CrossFit athlete from Norway. I live in Oslo and train at CrossFit Oslo, but I also spend a lot of time in San Diego, training at Crossfit Invictus with my coach CJ Martin. I started Crossfit in May 2012 and have been to every European Regionals since 2013. 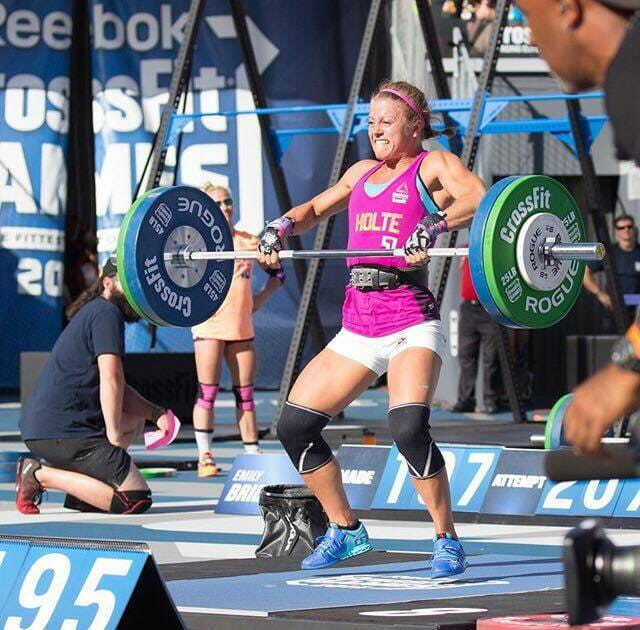 Qualified for Crossfit Games in 2014 and 2015 and finished 16th and 17th. won the Triple 3 event in 2014 and Sprint Course 2 in 2015. You come from a strong sporting background. Can you tell us a bit about that and how it led you into Crossfit? Were many of your skills easily transferable? I have always loved to train and to train for all kinds of sports. I did both gymnastics and track and field for over 10 years before I had to retire because of injuries. This was heartbreaking for me, because I didn’t feel that I had shown my full potential. I started to train with my friends who were endurance athletes, and that led me into running, triathlon and Cross-country skiing. I competed for a couple of years, just for fun, until I started missing gymnastics and squatting too much. I was introduced to Crossfit in May 2012, and was hooked right away. I could do both gymnastics, lifting and endurance work at the same time – this was the perfect sport for me! My gymnastics and track background was definitely an advantage for me. I had never done a kipping pull-up or any Olympic lifting before I started Crossfit, but I am good at learning new techniques and I am determined so I will never give up until I get it the right way. In 2014, you trained in Dubai for a period in order to prepare for the CrossFit Games and the heat of the Californian sunshine. How important is it to match your training with the conditions that lie ahead? Well, that Dubai trip was actually meant to be for vacation, but then I surprised myself and qualified for The Crossfit Games, so it turned out to be a training camp instead! Of course it is important to prepare for the conditions that you`re going to compete in. Norway don’t have the extreme heat that you can experience in California, so for me it is especially important to spend time in the warm weather for acclimatization before the competition starts. I have spent 2-4 weeks in San Diego the last two years in preparation for The Crossfit Games. It was reported that you also spent time at a military base in order to ‘train for the unknown’. What did this experience involve, and how can other Crossfitters train for the unknown? Yes, that’s true. My mental coach, Christian Ytterbøl, arranged 3 days for me at the military base for “Camp get Kristin tough”. Within 48 hours I did 10 sessions, where the first one was “Triple Murph”. Beforehand he asked me what I did NOT want to do, and of course I did all of those things several times during the camp. Did it get me tougher? Yes, maybe a little bit. I think Crossfitters would benefit from getting outside of the box once in a while to train in a different environment; use the natural world, go climbing, do obstacle courses, go for a swim in the ocean, go kayaking or just expose yourself to something that is far outside of your comfort zone. If you could program your perfect Crossfit Workout, what would be involved? It would be running, burpees, pull-ups, handstand walk and lots of semi-heavy squats. Those moments when your body and mind finally reconnects and when the cheering from the crowd gives you goosebumps in the middle of a box jump???? That is what makes me feel alive, that is what drives me to work hard day inn and day out all year long, that is why I am doing this! It`s a passion and it`s real? Thank you so much for the support throughout this weekend, I couldn`t have done it without you?! How do you motivate yourself for Crossfit? I love to train. I love to see the improvements after hard work. And I love the feeling after I have given everything I had in a workout and crash flat on the floor, knowing I did everything I could to get a little bit better today. These feelings give me the motivation and the drive to continue to work hard, so I one day can say that I have reached my 100%. You suffered a punctured lung in December 2013, what happened? How did it spur you on to recover and come back better than ever? I went to get physical therapy and ended up with a punctured lung from an acupuncture needle. I was hospitalized for 3 days and I couldn’t train anything for 3 weeks. This was not a big setback physically, but mentally I felt like my world fell apart. I had a big competition coming up in 8 weeks (Battle of London) and I knew that I would not be in my best shape, physically. I felt so sorry for myself and I cried for two days, until my mental coach called me and showed no compassion at all. I had the opportunity to deal with this in two different ways; I could continue to feel sorry for myself, be angry and sad and think about everything I couldn’t do the next three weeks, OR I could HTFU (harden the f*ck up) and focus on the things that I actually could do. The next day I changed my screensaver to Superman and my wakeup call to “Games 2014 – You can do it!”. Can you tell us a bit more about your studies in the field of nutrition, and what effect that has on your own Crossfit performances and training? I did my master thesis on whey supplementation and its effect on the protein metabolism in young and elderly after resistance exercise. I have studied nutrition for 5 years, and learned all about what food consist of, how it is digested and how nutrients work on your body. But the most important learning for me is experimenting on myself. It is with nutrition as everything else – one does NOT fit all! So, I try out different food items, in different amounts and at different times, to see what works best for my body and for my lifestyle. I think we will see a European Female on top of the podium in 2016. I will not be surprised to see a European Male up there, but the Americans are strong so it will be a tough fight. If I could choose one superpower it would be The Power to Fly ?? Today I finally felt like I was flying on those Muscle-Ups. Working with @coachtravis has made tremendous improvement to my Muscle-Up! Still not where I want to be…but getting there?? I watch Netflix, hang out with friends and travel! I love to travel around the world! Kristin Holte, If you were stuck on a desert island and could take only one luxury item, what would it be? Sunscreen. So I could tan all day without getting sunburned!